The Zipp Super-9 Carbon Clincher Disc Brake Rear Wheel revisits Zipp's heritage, starting over 30 years ago with a disc wheel. 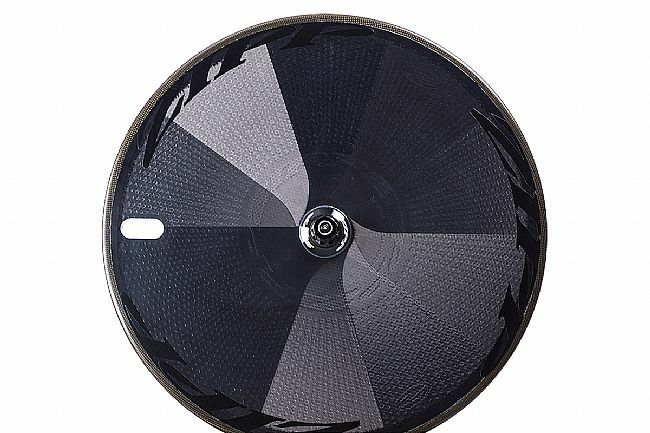 Pioneering the next generation of disc wheels, this disc-brake version of the Super-9 brings race-winning aerodynamics to triathlons and time trials for athletes looking for a serious aero advantage. With its lightweight construction, this Center Lock-compatible version retains the light weight of its rim-brake counterparts while bringing in efficient speed adjustments and confidence-inspiring handling. 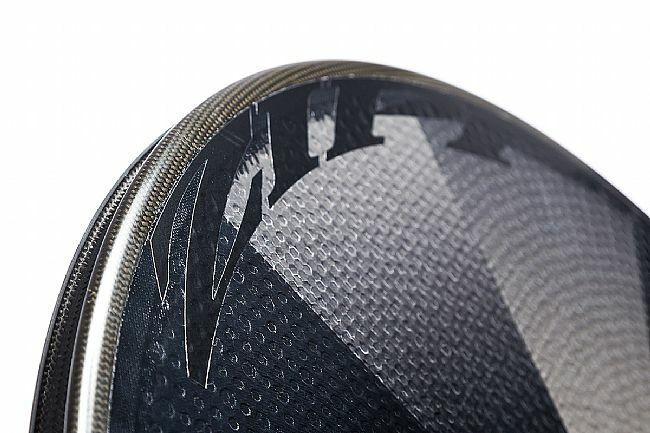 Bringing their ABLC technology down from their Firecrest and 900 wheels, the Aerodynamic Boundary Layer Control places over 4,900 dimples across the disc wheel. 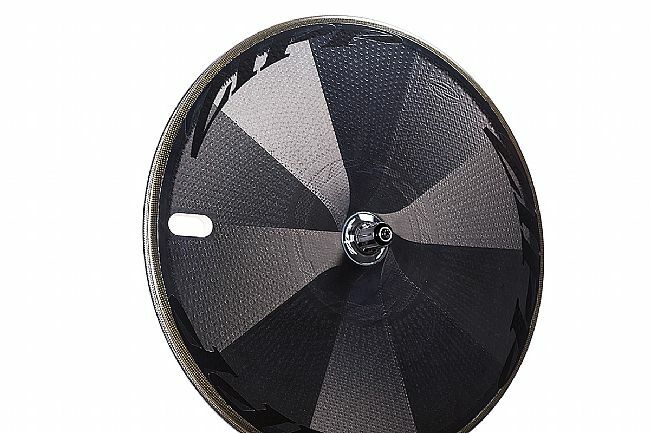 This creates a turbulent layer of air that allows the air to stick to the wheel for a longer period of time, actually lowering the drag of the front wheel for greater stability in cross-winds and increased overall aerodynamics. 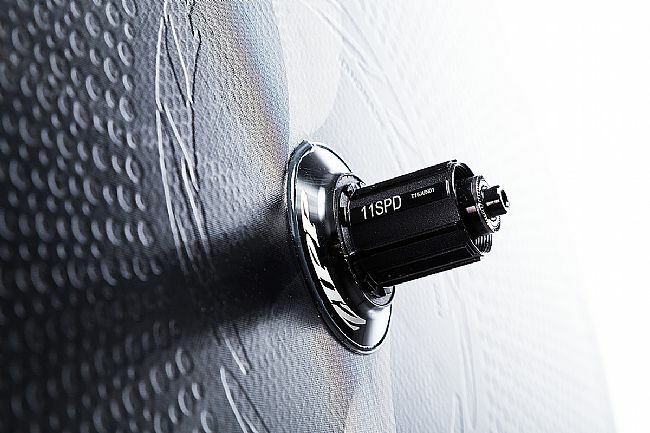 Down below, Zipp's 177DD hub provides a Center Lock-compatible disc wheel hub brings the braking performance improvements of disc brakes to the world of aerodynamic disc wheels. Featuring Zipp's Wire EDM manufacturing technology, resulting in Zipp's machining of materials 50% harder at tolerances 20-times greater than standard machining and heat treating, resulting in a sub-200 gram hub that can stand up to the torque of a 4-cylinder car engine. 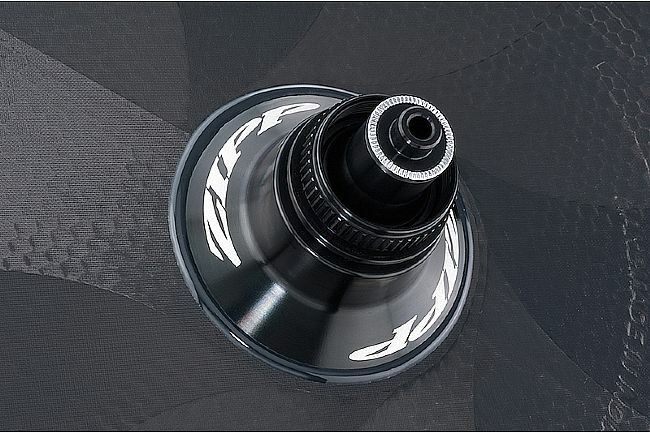 The Zipp Super-9 Carbon Clincher Disc Brake Rear Wheel includes a Silca disc valve adapter, Zipp Tangente quick release skewer, Zipp Tangente Tube (700x20-28mm), Zipp rim tape (700x20mm), Zipp valve hole sticker, Zipp Thru-Axle end caps. Rim Width: 17.25mm (internal), 27.5mm (external). Rear Axle: Quick release, thru axle compatible (end caps included).